NEW DELHI, Apr 15 2015 (IPS) - Vinita Panikker, 26, considers herself “the world’s most unfortunate woman”. This article has a disgraceful title. Who makes a pun about this? 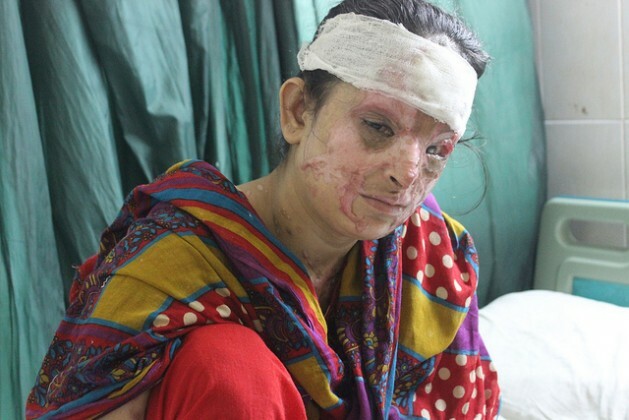 The majority of acid attack victims are men. Quick way to end this horrific practice: PUBLIC EXECUTION OF THE MEN WHO THROW THE ACID!!! Too many get off scott free. Why is it so hard, NOT to BLAME the common problem in all cases of acid attacks MUSLIMS.. Sorry I’m not PC but Truth is Truth….